Drug driving is one of a number of contributors to road deaths in South Australia. Nearly one quarter of drivers or riders killed on South Australian roads test positive to THC (the active component in cannabis - also known as marijuana, dope, hash), Methylamphetamine (also known as speed, ice or crystal meth), MDMA (also known as ecstasy), or a combination of these. It is an offence to refuse, or fail to comply with, a direction of a police officer in relation to an alcotest or breath analysis or a request for a drug screening test, oral fluid analysis or blood test. Many drivers remain unaware of the effects that these types of drugs can have on their driving ability - including impaired coordination, muscle weakness, impaired reaction time, poor vision, an inability to judge distance and speed and distortions of time, place and space. 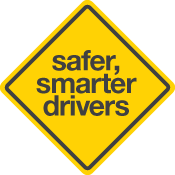 They can also increase a person's confidence so they are more likely to take dangerous risks while driving, placing themselves, the safety of their passengers and other road users at even greater risk. Laboratory testing, driving simulators and on-road testing have shown that these drugs can impair performance on driving-related tasks and have the potential to increase the risk of road crashes. South Australia Police conduct random roadside saliva tests to detect the presence of THC, Methylamphetamine or MDMA. Unlike drink driving, where a prescribed concentration of alcohol must be present for an offence to have been committed, the presence of any amount of the drugs tested is an offence. If a driver refuses or fails to comply with directions of a police officer in relation to a drug screening test, oral fluid analysis or blood test, they may face immediate loss of licence at the roadside. If convicted their licence will be disqualified for at least 12 months. arrange for someone to pick you up - only accept a lift if you are certain the driver has not been drinking or using other drugs. This is a non-invasive method for detecting the presence of THC (cannabis), Methylamphetamine (speed) and MDMA (ecstasy). Drivers are required to provide a saliva sample by placing a saliva test strip on their tongue. Drivers who test positive are required to provide a saliva sample for analysis in the drug bus or at a police station. A positive result to the second saliva sample will lead to further analysis in a laboratory. Many prescription and some over-the-counter medicines can impair your driving ability and increase crash risk by affecting your concentration, mood, co-ordination and reaction time as a driver. 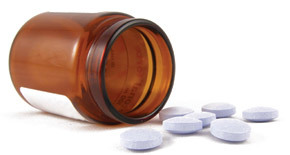 Some medicines that may affect driving include: sleeping tablets, muscle relaxants, sedatives, antihistamines (such as hay fever or cold and flu medicines) and some strong painkillers. Not everyone will experience the effects of a drug in the same way. When you start using a new medicine that may affect your driving, it is best not to drive until you understand and have experienced what effect it actually has on you. Always check the listed side-effects and follow instructions regarding use. Never take someone else's prescription medication. If you are unsure about the side effects of your medication or any impact it may have on your driving ability, please consult your doctor or pharmacist. Stop driving and contact your doctor or pharmacist if your medicine affects your reflexes, affects your ability to concentrate, makes you sleepy or drowsy, or gives you blurred or double vision. For further information and/or assistance related to alcohol and other drugs, contact the Alcohol and Drug Information Service on 1300 13 1340 or visit www.dassa.sa.gov.au for more information.